Want to begin the sometimes daunting process of shopping for some Replacement Windows Pasadena for your home? Then this website is well suited for you, as we have a huge selection of different types of windows from brands that are well known in the industry, including Jeld Wen and Milgard. You should have only the best fixtures, and that is possible when you go through a leader such as Intex Windows & Doors. This could very well be the best decision that you make for your home or business, as it is a smooth process to shop from Intex. Our representatives are always ready and able to assist you in your endeavors to locate the perfect products to enhance the look and practicality of your living or commercial space. You will never regret making the choice to buy from a trusted source in the industry that sells products in a wide range of styles, in materials such as wood, aluminum, and vinyl. You can breathe easy knowing that anything you buy will be well crafted and last for many years, and any slight risk of damage done to it in transit or as a result of a material flaw will be covered by our full lifetime warranty. Not many business offer this to their customers, but we truly are committed to making sure that our customers are comfortable and satisfied with us. Shopping for your fixtures has never been so easy as it is with Intex. We have a dedicated staff of professionals who are caring and compassionate, and will always listen carefully to your questions and concerns in regards to Replacement Windows In Los Angeles and other matters about our business. You can seek out a customized product if you are not able to locate one within the large selection of items in our catalog. Just give us an idea of exactly what it is that you would like, including the specifications, so that we can work together and come up with ideas and bring your dream windows to life. We have products for commercial, institutional, and residential purposes, so do not hesitate to contact Intex Windows & Doors for your needs. There are many ways in which we can help you to make it a smoother process to shop, order and have your new or Replacement Windows Pasadena installed. You need to know precisely what you will receive when you place an order, and that is always going to be the case with Intex. You can shop for classic, modern, and elegant styles of windows and doors, in varieties that all are energy efficient to help you when it comes to saving on your electric bills. This is extremely important when you have a family to care for or a business to run. Talk to Intex experts about getting a permit within your town or city to complete the work and have your windows put in quickly and efficiently. Give it a chance and we will not let you down. Fill out a form or call to request a free estimate today. Want to know how you can purchase high quality Replacement Windows Pasadena from a trusted brand in the home and commercial design industry? It is not too far out of your reach when you shop from the reputable company Intex Windows & Doors. The staff at Intex is ready and willing to discuss your every need when it comes to the fixtures you are looking for, and come up with something that is amazing at a great price that nearly everyone can afford. You owe it to yourself to learn how this company can help you to make your vision of beautiful yet functional windows and doors, a dream come true. You'll need to make sure that you comply with the local building and renovations codes and regulations, which is possible when Intex is completely knowledgeable about them in the Los Angeles area. They will help you along the process, including applying for the permit to complete installation of any new or replacement windows and doors on your building. This level of service is not given by just any sales and installation company in and around Los Angeles. Take advantage of the benefits that are available to you when you first reach out to Intex, as their staff will go above and beyond to inform you and make the whole process easier. Many people worry when an emergency strikes and they need to find Replacement Windows Glendale fast. This is because it is not always possible to find and secure windows and installation service in a timely manner. There may be an interruption in business, or in the home life if it happens at the house. This can cause undue stress in an already busy lifestyle. If you want to keep from having to wait and have this occur, you should get consider buying these windows from Intex. We will not keep you waiting – in fact, in many instances we send someone to your residential or commercial site within about 24 hours of placing an order. It may take a little longer if you are in search of something that is out of the ordinary that we do not have in stock, though we welcome you to request the size and style of window fixture that you need so we can personalize it to your liking. You can enjoy the luxury of ordering exactly what you envision, having superior assistance from expert technicians, and getting the products quickly and easily. Special customization projects are completely welcome, if you have ideas that you would like to talk about with one of our trained professionals. You can see from our past customers just how much they love our products and services by viewing the testimonials. You also can ask your neighbors, friends and family what they know of our company to get an assurance before you begin a transaction. We are well known and have transparent policies that will help you to make your decision. It should never be a hassle to shop for and order Replacement Windows Pasadena. You will see for yourself that we love to serve the greater Pasadena community, with products and services for both commercial and residential properties. 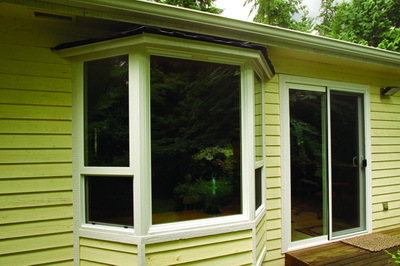 We even have many windows that have been designed to fit into the unique climate for the optimal energy efficiency. You really can save a great deal of money and energy by investing in these quality fixtures at this time. If you know about ENERGY STAR, you know that the products are top notch. Make sure that you are aware of the type of windows that you can have on your building, according to the zoning board of your city. Though it can be a headache to research, it will save you trouble in the long run. Intex Windows & Doors will help you find out the information you need to replace your windows in Pasadena, or anywhere else in the greater Los Angeles area. Don't wait too long for your new windows. Give us a call for quick assistance. Choose only from the best selection of Replacement Windows Pasadena available. Here at Intex Windows & Doors, we have got a large assortment from different Series. They are designed out of various materials and can be customized based on the size you need and the climate in which you live. If you need vinyl, fiberglass, or sound control windows, you’re sure to find something that will appeal to you in our collection. Browse by category and narrow it down to what you want. Feel free to call with any questions if you are uncertain about anything. 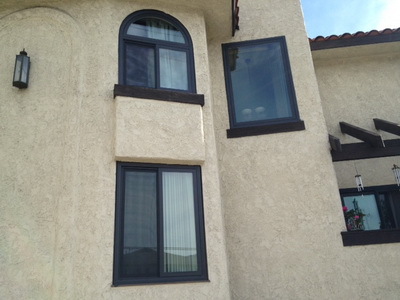 Our Replacement Windows West Hollywood are completely customizable. If you would prefer something that is operable to a window that is non-operable, we can set you up with what you request. The possibilities are nearly endless when you purchase from an authorized dealer like us. Come into our showroom and view the Replacement Windows Glendale that we have to offer, or you simply can shop online if you would like. We have both traditional and more modern options from which you can choose. Replacement Windows Glendale are incredibly attractive and you can obtain windows for either commercial or residential properties. If you would be interested in a quality product with professional installation from a local expert, we are the right match for you. Even though we work quickly, we do not sacrifice on the quality of product and service. If you want to know how much it will cost to get your dream windows or doors installed, fill out the form on our website and you will get a free quote as soon as possible. Also, you can ask us any questions by giving us a call. Enjoy having the luxury of buying your Replacement Windows Pasadena Pasadena from a reputable, authorized dealer such as Intex Windows & Doors.